Heat oven to 350°F. In large bowl, crumble cookie dough and add flour, kneading until well blended. On floured surface, roll dough to 1/4-inch thickness. 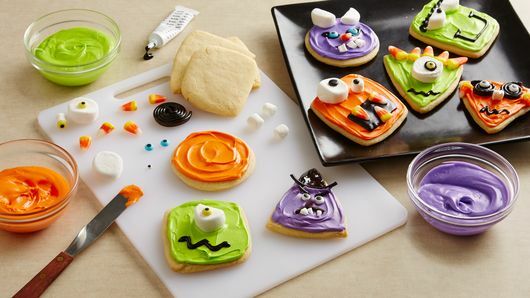 Cut with floured 2 1/2- to 3 1/2-inch shape cookie cutters (round, square, triangle). On ungreased cookie sheets, place cutouts 2 inches apart. Reroll dough and cut additional cookies. Bake 11 to 13 minutes or until edges are lightly browned. Cool 5 minutes; remove from cookie sheet to cooling rack. Cool completely. Meanwhile, separate frosting into 3 small bowls, and add gel food color; mix to desired colors. Frost and decorate cookies, using photo as a guide. 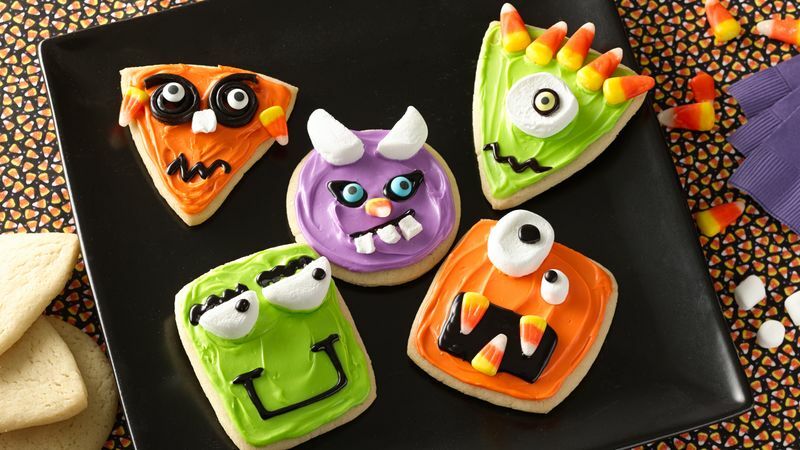 For a quick and easy version of these Wacky Monster Cookies, simply bake Pillsbury™ Ready to Bake!™ refrigerated sugar cookies as directed on package (makes 24 cookies). Frost and decorate as directed in recipe. 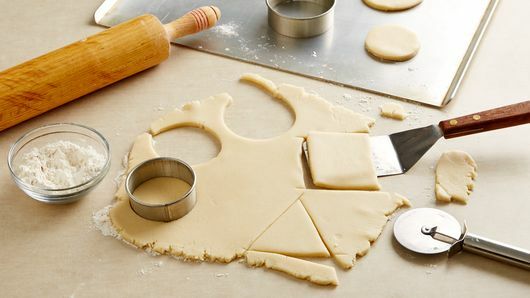 Don’t have shape cookie cutters? Kids’ cutting tools (washed), pizza cutter or a knife can be used to cut your own shapes. Use your sense of humor and imagination when decorating. Flat, square marshmallows designed for s’mores are ideal for cutting out eyes and horns, and may be found in your grocer’s baking aisle. Otherwise, use large and mini marshmallows. A kitchen scissors or small, round cutters, sprayed with nonstick cooking spray, work great.